Looking for an Experienced Managed Services Company in Pittsburgh? 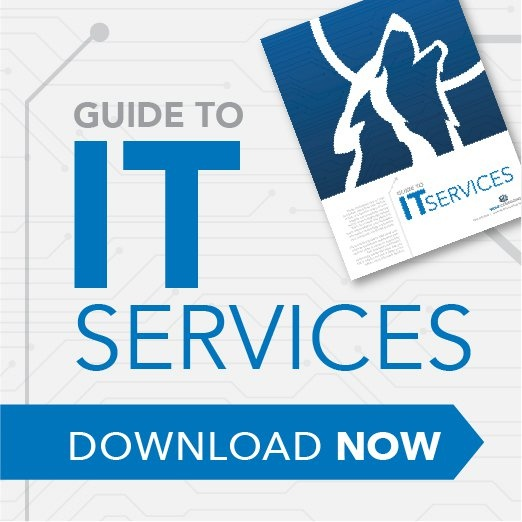 Are you feeling the need for a change in your IT service? Maybe the computer network support that used to be a good fit for your business is no longer such a great match? Perhaps you’ve outgrown the computer expertise of “Pat” in your Accounting Department? Or your inhouse IT resource is leaving, and you're struggling to fill that role? Or you’ve outgrown the limited availability of your brother-in-law or the one-man show who moonlights for you in the evenings or on the weekends? Perhaps you’re frustrated with poor service and support from the outsourced IT support firm you’ve been using for years? Or you’re feeling nickel and dimed to death with hourly-rate billing? Or you feel the more problems YOU have, the more money your computer consultant makes? Or you’re concerned that your backups, firewall security or network protection are not setup properly and you have unnecessary risks for your business? Or you’ve simply decided it’s time to get more out of your Computer Network and Information Technology? Whatever the reasons, Wolf Consulting is ready to help. We’re a managed service provider that has been helping Pittsburgh Area businesses get better results from their computer networks for more than 30 years. With our WolfCare IT Managed Services Plan, we’ll provide all of the services needed to maintain and support your Computer Network and Information Technology for a flat-monthly fee. It’s predictable, easy to budget, and provides great peace of mind. It includes proactive support and reactive support, onsite support and remote support. As a managed services company dedicated to solving your technology issues, we help with everything from the smallest email problem, all the way up to big-picture technology planning, and everything in-between. Call us at 724-325-2900 x4 to schedule your free initial consultation, and you can quickly solve one of your problems and put a checkmark in front of one of your goals!